Harmony does not to be boring or difficult. This book shows that it can be both understandable and fun. The emphasis is on experimenting with sounds, though listening and improvisation. This way, the theory finds its way into your hands and heart – not just your head. This new method guides you step by step through all aspects of harmony, in a clear and engaging way. 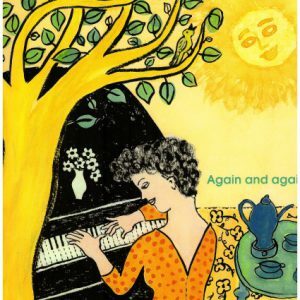 Suitable for both classical musicians and fans of popular music. No prior knowledge is required. With an understanding of harmony, you will find it easier to learn new pieces. Your musical imagination will grow. You will learn to transpose, compose and improvise. Playing by heart will become much easier. You will understand composers better, in a more intimate way. Ultimately, you will be able to grasp music on a deeper level, with greater awareness and freedom. Books on music theory are not generally known for their creativity. And as a result, readers often don’t realize how fascinating the subject of harmony can be. Especially if it can be explored in depth at the piano through countless forms of improvisation, a topic central to this book. Another noteworthy aspect of the book is the author’s inventiveness in explaining musical concepts with metaphors and images from daily life. “This book on harmony is unique in its kind. Unique, in the first place because Tilanus does not deal with the subject employing lots of theoretical rules, leading up to the making of compositions for four-part choir, but carefully constructs harmonic insight from the most fundamental start. A pupil who has just started can deal with the subject matter of the first chapter. Whereas the contents of the final chapters is more suitable for students at the music academy. Furthermore this book is unique since Tilanus immediately lets the theory of harmony that she has just discussed be applied in improvisation or other practical training. Thus, the newly gained knowledge comes to life for the students and becomes part of the mental tools with which they can tackle new compositions. The first chapter deals with the seven tones of each key. Keys are not dealt with key by key, proceeding from no key signatures to many, but starting from the characters of the different tones within the key. Tonics, she writes, do want to have the last word and give you the feeling of being home, the fifth is the great questioner and the thirds are the mood makers; the minor third gives the key a sorrowful mood and the major third gives the key a cheerful one. The fact that some things are described in the beginning in a simplified or incomplete way, is the author’s deliberate choice and must contribute to the clarity of all that is offered. In the following chapters, Tilanus successively deals with intervals, the seven diatonic chords of every key, relationships and positions, modulations and the circle of fifths, chromatic tones and, finally, alternate scales and modes. Here, too, new harmonic topics are richly accompanied by clear illustrations and inviting improvisation exercises. 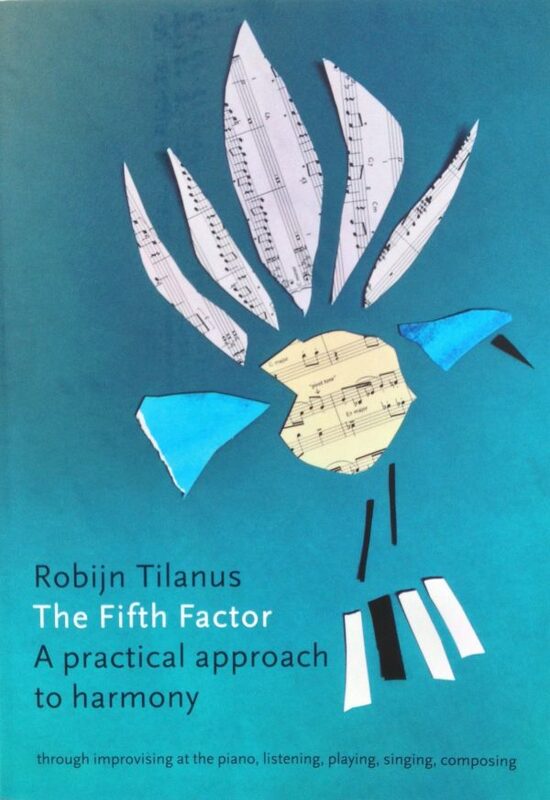 If you like, you can download for free all the musical examples of the book The Fifth Factor.